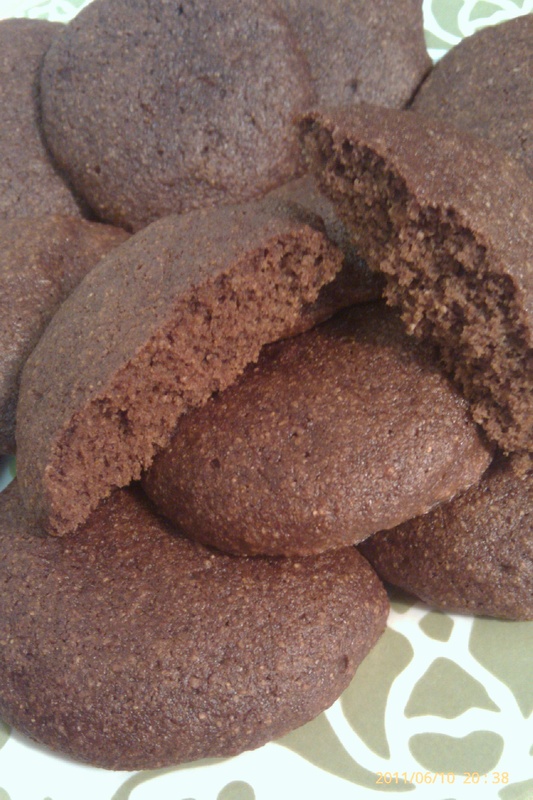 I got this recipe from “The Happy Herbivore”. It was pretty darn tasty! Combine all ingredients in a blender, whizzing until smooth and creamy. Taste, adding more sweetener as desired. 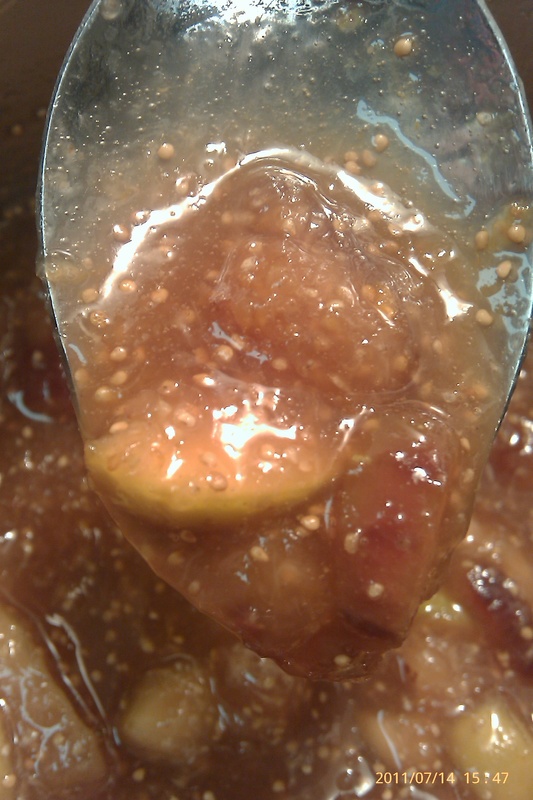 (Agave or other syrup sweetener may be substituted for the maple). 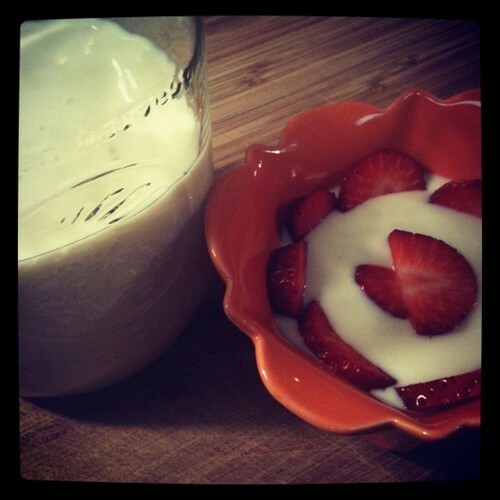 Add in fresh fruit such as strawberries, blueberries or more banana for fruit-flavored yogurt. Combine water, bouillon, carrots, celery and minced onion in large saucepan over high heat, and bring to a boil. Reduce heat to low. 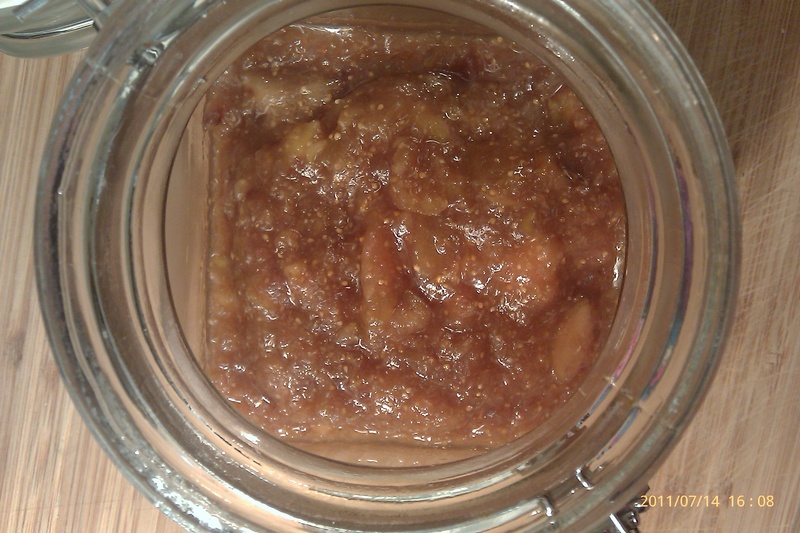 Simmer, partially covered, 15 – 20 minutes. Stir in pasta, TVP and green onions. Cook until vegetables and pasta are tender. Remove from heat, stir in parsley, cooked quinoa, and season with salt and pepper to taste. Enjoy! Grind the seeds into a meal with a coffee grinder, chopper or blender. Combine all ingredients and blend to liquefy. You should get a creamy texture. Add more water to thin if necessary. I’ve used this same recipe to make a roast, but this time I decided to make sausages instead. I steamed them too instead of boiling it then baking it. I also didn’t use the oil and butter the original recipe calls for. They were YUMMY! 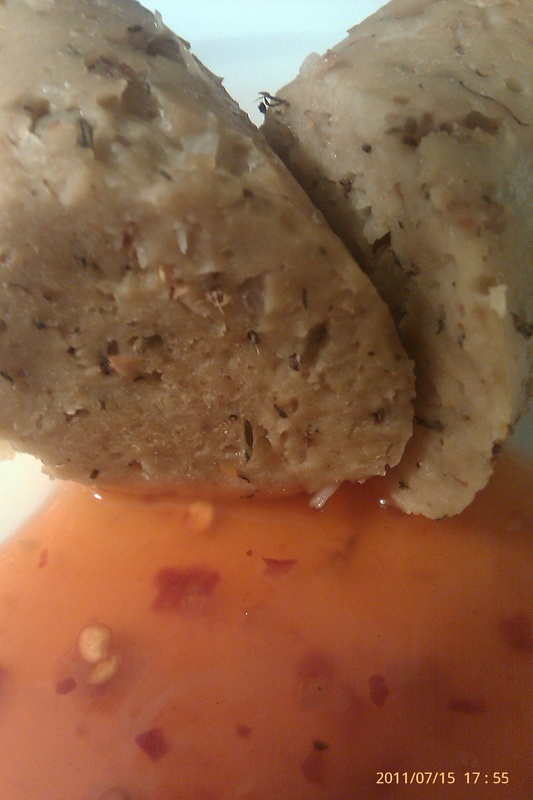 I ate it with this tasty sweet and spicy ginger sauce. Here it is…enjoy! First mix all the dry ingredients in a large bowl. Add the onions to the dry ingredients and mix. Add the wet ingredients to the dry ingredients and stir with a wooden spoon until a loose batter forms. Get a handful of mixture and form into the shape of a sausage on a piece of foil. Roll up and twist ends (like a tootsie roll). Put in a steamer for 30 – 40 minutes. I had a bunch of left over raw cashews from when I made the nut milk a few days ago and decided to make some cheese with them. It turned out really nice. 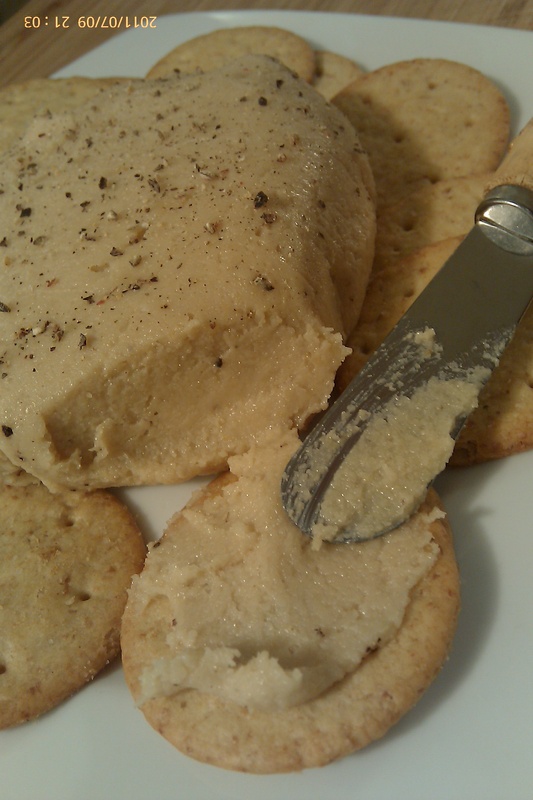 It’s pretty soft even after refrigerating over night, but that makes it perfect for spreading on crackers. This is how I made it. Soak cashews in a bowl filled with water for 2 hours. Drain water and add soaked cashews to food processor with remaining ingredients. While mixing slowly add in a little water. Add in a little at a time to help make it smooth, but you don’t want it runny. Wrap tightly in saran wrap and keep in fridge over night. When you’re ready to serve, put it on a plate and add fresh pepper on top of it. Serve with crackers of fresh vegetables. Enjoy! Pre heat over to 425*. If using canned black beans, drain and rinse. In food processor add onion and pulse till finely chopped. Put onions in mixing bowl, then add black beans to processor. Pulse a few times till beans are well smashed. 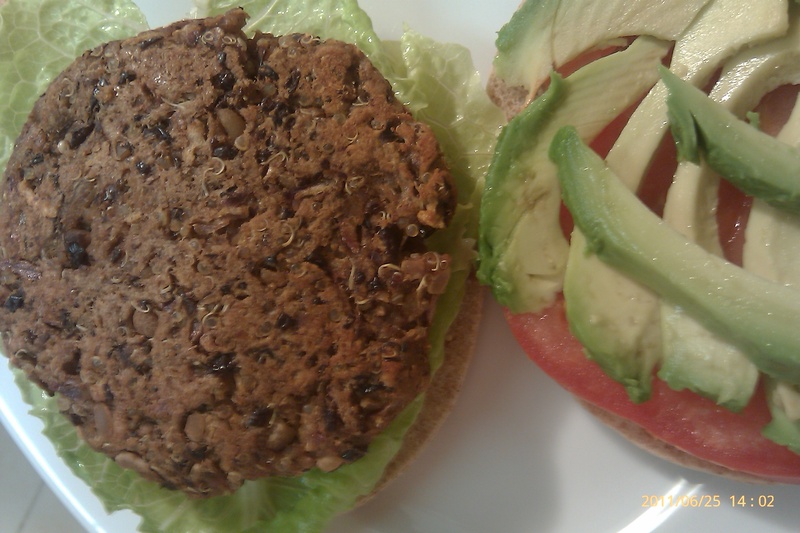 Don’t do it too much because you want to have some whole beans in your burgers. Add to bowl with onion and mix with your hands. Then add garlic, bread crumbs, quinoa, ketchup, and spices. Make sure everything is combined well. Next add the vital wheat gluten and water. Mix well with hands and form into 8 hamburger patties. Cook burgers on cookie sheet with a little cooking spray. I cooked for 10 minutes on one side, flip, then bake for another 5 – 10 minutes. Serve with your favorite toppings and condiments. Makes 8 burgers. First sift all dry ingredients together into a large mixing bowl. Next add all of the wet ingredients and mix well. Grease cookie sheet and with a table spoon put 12 scoops of the mixture onto the sheet. Be sure to leave a little room in between. Bake for 10 minutes. Enjoy! 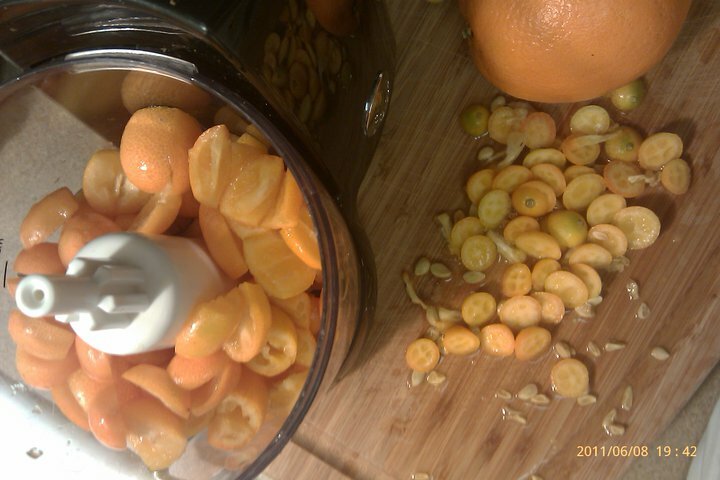 Add sliced kumquats and orange to food processor. Pulse until it is consistency you like. I like some of the peel still chunky. Add vanilla and agave nectar and pulse a couple more times till it is well combined. You can either cook it on the stove or put it in the microwave. If you microwave it do it for 6 – 8 minutes, stirring every couple minutes. It’ll reduce as it cooks. Remove and let cool. If you cook on the stovetop, cook on medium heat stirring often. It should take 30 to 40 minutes. It’ll still be a little thin, but it thickens as it cools. Let cool then store in sealed container in fridge. It should last 1 – 2 months! This has to be the best French Toast I have ever had! I’ve always liked French Toast, but never cared for the egg taste in it. 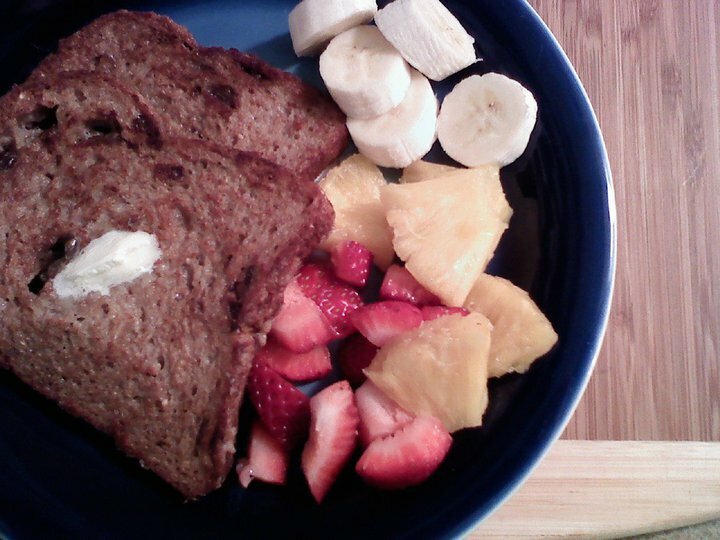 This tastes a lot like banana bread to me…can’t go wrong with that =D I found the recipe online a long time ago and can’t remember where now…blah, but had to change it a bit for my own taste. Add spices you like to it too…it’s AMAZING! 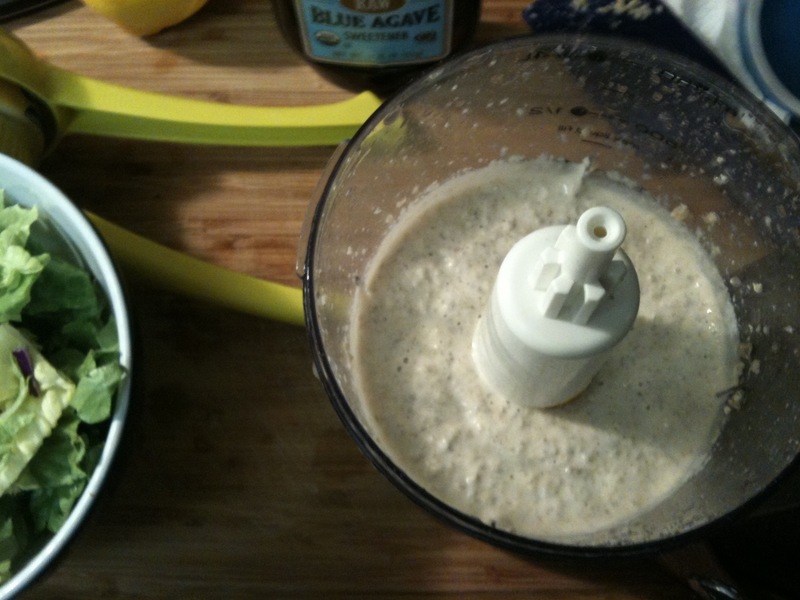 Put all ingredients (not the bread) in blender or food processor and blend until banana is part of the liquid. Pour liquid into a bowl that is large enough to dip bread. Heat frying pan and grease, using a little cooking spray or vegan butter (I used Earth Balance) so bread doesn’t stick. Dip bread in banana mixture coating both sides. Place in frying pan and cook until both sides are a golden brown. 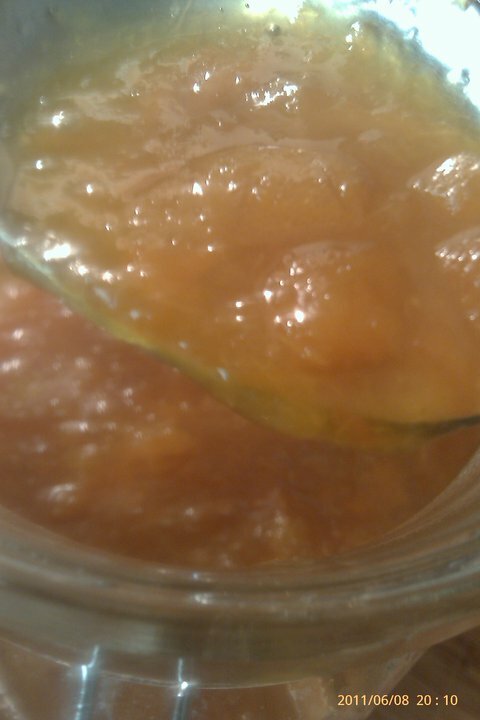 Remove and serve with fruit or syrup. It’s great plain too! Enjoy!